If ever there was an award that was obvious the second it happened, it would be 2018’s Knockout of the Year. Chan Sung Jung, aka “The Korean Zombie,” known for being in some of the sport’s greatest fights in recent years, was on the verge of winning a potential Fight of the Year candidate against Yair Rodriguez at the UFC’s 25th anniversary show on Nov. 10 in Denver. The Zombie, who was given his colorful nickname for his seemingly supernatural ability to walk through punches, had long before become a big fan favorite for his legendary WEC fight with Leonard Garcia. His career was interrupted for years due to military service though, and heading into UFC Denver, he’d only competed once in the prior five years. As seconds were ticking off the clock, the win was all but assured. Jung was firmly ahead on two of the three judges’ scorecards — and then, in the blink of an eye, he was out cold on the canvas as the buzzer sounded. Jung was firmly ahead on the scorecards — and then, in the blink of an eye, he was out cold on the canvas. A moment of reckoning so out-of-nowhere that at first it didn’t even compute. Only in replays did the world actually see Rodriguez, from an awkward underneath position, land a devastating upward elbow right to the jaw. Jung instantly crumbled. It looked more like a weird natural body reaction by Rodriguez, flailing from a bad position, that a planned blow, but the elbow landed with so much force out of nowhere from a spot nobody would naturally be ready for it. 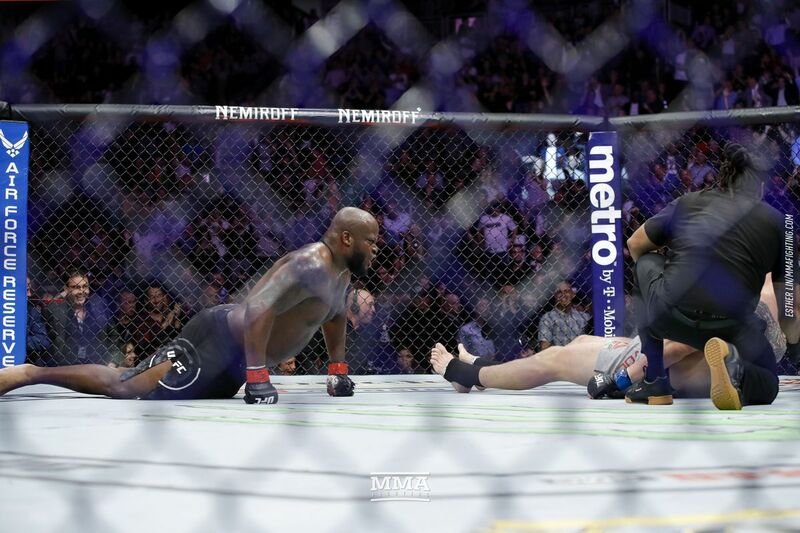 As Jung laid on the ground, fans were stunned more so than erupting in the crazy delirum one would expect for a normal Knockout of the Year, which is usually a powerhouse punch or kick that sends someone flying, like last year’s award-winning Francis Ngannou knockout of Alistair Overeem. The time was 4:59 of the fifth round. The knockout would have been the most out-of-nowhere and stunning knockout of the year no matter the time and situation, but it coming on the company’s 25th anniversary show and ending a fight that was going the other way with less than one second left in the final round only magnified the impact. 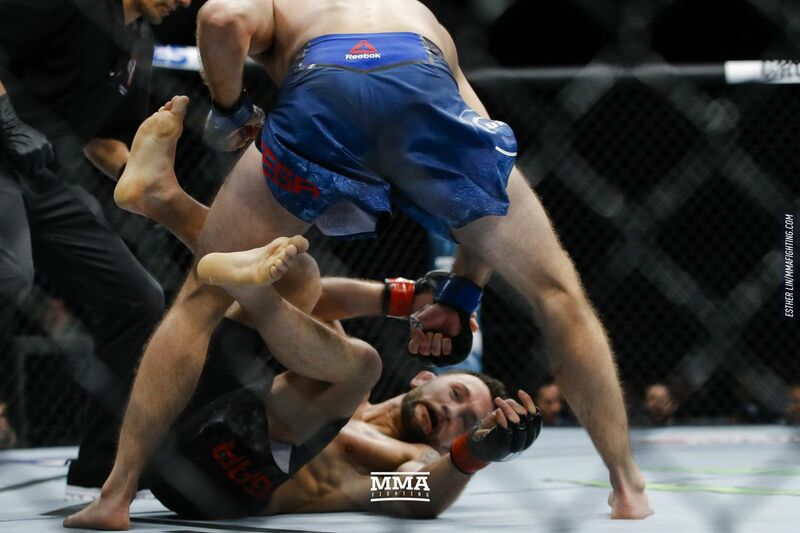 Immediately people talked about it as not just knockout of the year — that was a given — but perhaps the greatest finish ever and even the most amazing split-second in UFC history. 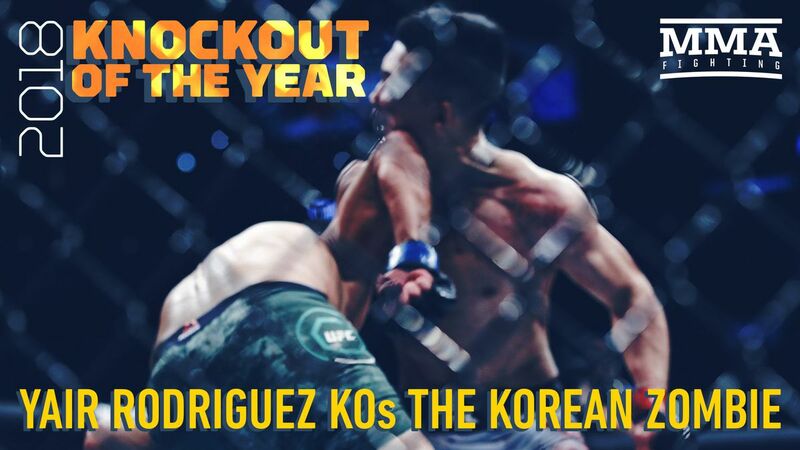 While the staff of MMA Fighting thought long and hard about other contenders and all of the other categories, Rodriguez vs. Zombie was such an obvious Knockout of the Year that it captured all 15 first-place votes for the award — the first time that would’ve happened for any award in MMA Fighting history — before No. 2 on our list stole away a few of those ballots on the final weekend of the year. 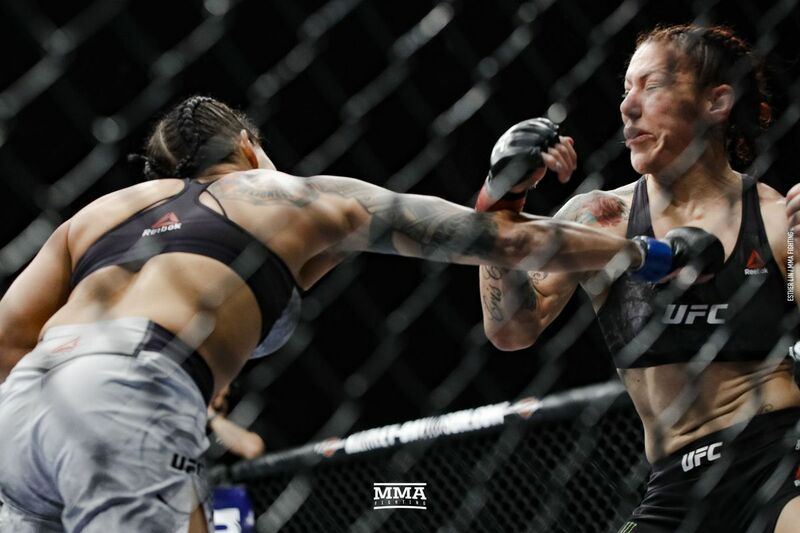 The 20-fight winning streak of Cris Cyborg, which lasted more than 13 years, ended in just 51 seconds in UFC 232’s instantly iconic battle of champions. The fight could have easily been billed as the fight for the right to be called the greatest female fighter in MMA history, as Nunes was facing an indomitable force who hadn’t even been touched in competition since well before women’s MMA was a viable path. Nunes, in overwhelming Cyborg, had her fellow Brazilian rocked early before full face-planting her with a vicious right hand. In doing so, she shocked the sport to an even bigger degree than her title upset over Miesha Tate at UFC 200, or her masterful defense against Ronda Rousey at UFC 207. The difference is that Tate, while also an all-time great, was never viewed as unbeatable — just a talented, resourceful fighter who pulled out several major key wins late. Rousey had an aura of being unbeatable at one point, but it was shattered before Nunes got to her. The key to the legendary magic of Cyborg vs. Nunes is that the knockout was not only fast and devastating, but also title winning and history making. With those three wins over Cyborg, Tate, and Rousey — all in the first round, and two in the first minute — plus two wins over current flyweight champion Valentina Shevchenko and another win over Sara McMann, nobody on the women’s side of the game has the résumé of wins like Nunes, nor has anyone else won titles in two separate divisions at the same time in UFC women’s history. “The Lioness” may very well be the female GOAT. The T-Mobile Arena was rocking in excitement for the biggest show in UFC history — UFC 229, headlined by Khabib Nurmagomedov vs. Conor McGregor — when Derrick Lewis became a household name. Alexander Volkov, the 6-foot-7 former Bellator champion, nearly had Lewis finished on two occasions early in front of the largest pay-per-view audience in company history, and likely the largest audience ever to see a show. For the most part, Volkov was outclassing Lewis and giving him a one-sided beating. Worse, Lewis was not only absorbing so many punches, he was outright exhausted as well. But it’s always been known with Lewis, that even when he’s tired, “The Black Beast” has still ferocious power in his hands and he’s never truly out of a fight. Out of nowhere, with time time ticking down in the third round, Lewis cracked the mighty Russian hard and dropped Volkov, then finished him with hellacious punches on the ground. After the fight, Lewis took off his shorts and told Joe Rogan in the center of the Octagon in his underwear that his balls were hot. The knockout was worth far more than just a win and performance bonus, as it secured Lewis a surprise heavyweight title fight with Daniel Cormier one month later. Lewis was dominated in that fight and eventually submitted in the second round, but whenever the fight was standing, which was very limited time, it was impossible for fans to turn their heads, because they’d been conditioned from the prior fight that the one punch that could end things may very well come out of nowhere in the blink of an eye. One of the most memorable moments in UFC history was at UFC 126, when Anderson Silva nailed Vitor Belfort with a front kick knockout with the first major blow of the fight. In the United States, it was a spectacular moment, but in Brazil it was a lot more. Belfort was a fighter and reality TV star, a well-known celebrity in his home country. Silva, while he had been middleweight champion for years and was certainly a star to MMA fans, had nowhere near the same level of popularity in Brazil as his countryman. But that fight being broadcasted on Brazilian network television is often talked about as the kickoff point for the UFC’s boom period in that country, and Silva’s theatrics made him into almost a national hero in his home country. They say lightning doesn’t strike twice — until it does. Machida vs. Belfort started slow at UFC 224. Even with the card being held in Brazil, and with the fight featuring two of the country’s native legends, the crowd was booing early. 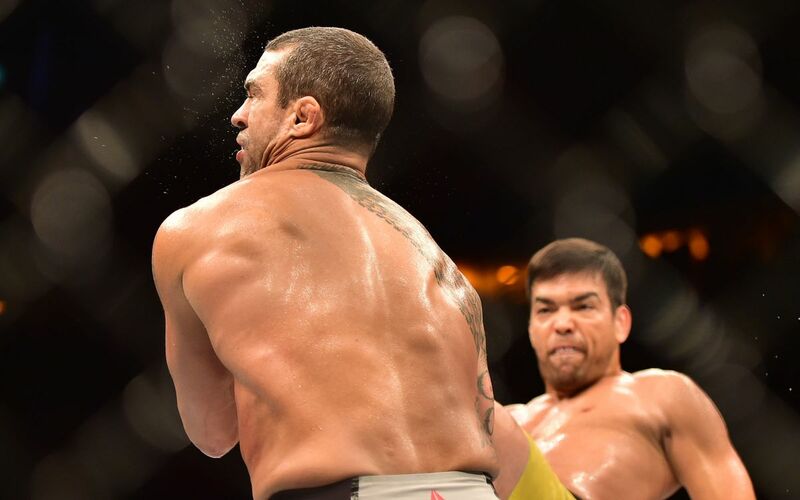 Then suddenly, in the second round, Lyoto Machida landed the front kick that knocked Belfort out — the same front kick Silva used all those years ago. Machida himself had had a near-duplicate finish years earlier when he ended the career of Randy Couture in 2011. UFC 224 ended up being Machida’s final fight in the UFC, as he subsequently signed with Bellator in free agency. Belfort, meanwhile, announced his retirement after his suffering his second front-kick loss, but has since made noises about coming back. UFC 222 was originally built around Frankie Edgar getting a featherweight title shot against Max Holloway, but then an eleventh-hour Holloway injury led to the then-undefeated Ortega getting the biggest fight of his career. Ortega had one of the most unique UFC win steaks in history. At one point, he defeated Thiago Tavares, Diego Brandao, Clay Guida, and Renato Moicano in consecutive third-round finishes of fights he was losing on the scorecards. But with a 13-0 record in tow after a resounding win over Cub Swanson, Ortega was clearly the most logical replacement opponent. The booking also had intrigue in the sense that Edgar had never been finished in a fight, and Ortega had to come from behind to get late submissions against fighters not nearly at Edgar’s level. The question was which was stronger: Ortega’s finishing ability or Edgar’s durability and inability to be finished. But Ortega didn’t have to come from behind here. He held his own with Edgar, then landed an elbow to the jaw followed by a big uppercut that put Edgar out in the first round. The win made Ortega the clear top contender for Holloway — who eventually toppled him from the ranks of the unbeaten — and marked the first time Edgar was ever knocked out. Here is how the voting for MMA Fighting’s 2018 Knockout of the Year played out.